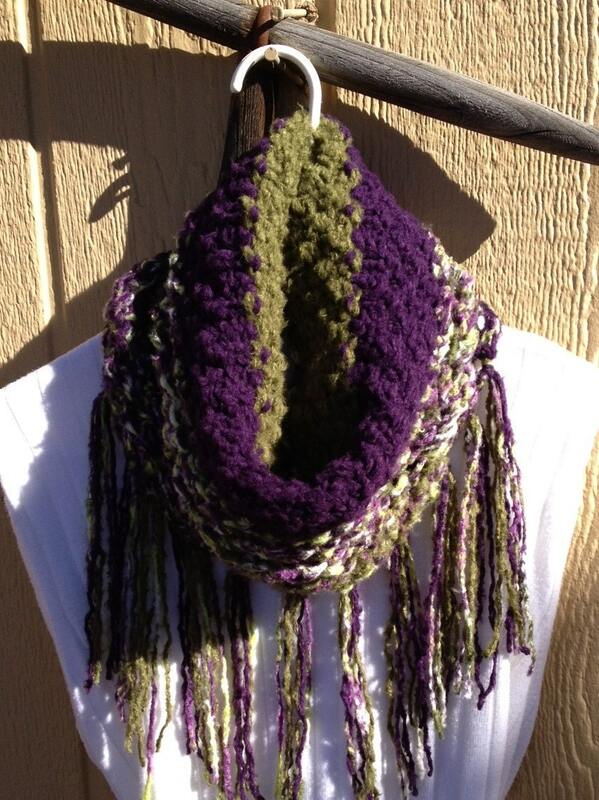 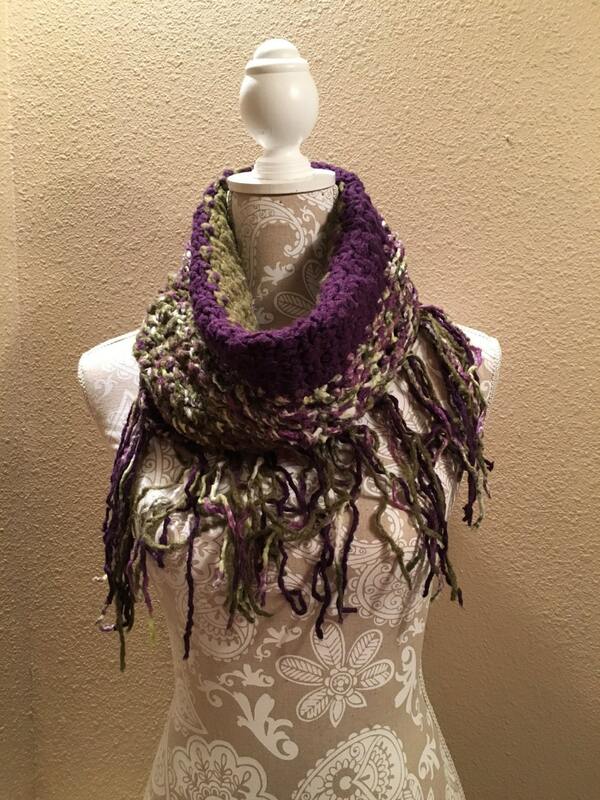 This soft, funky cowl will add lots of texture and color to your favorite outfit. 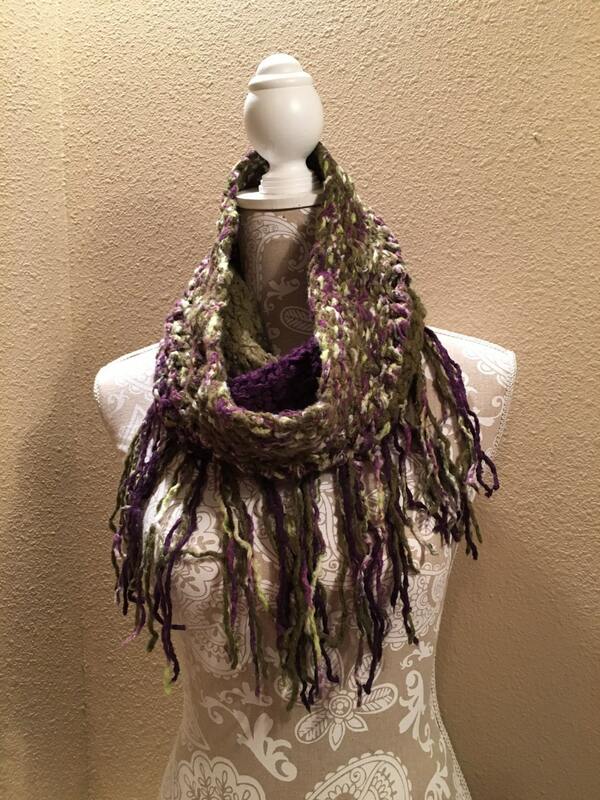 The cowl is loom knit on the Knifty Knitter 41 peg yellow round loom and incorporates changes in color as well as changes in stitch type to create a unique look. 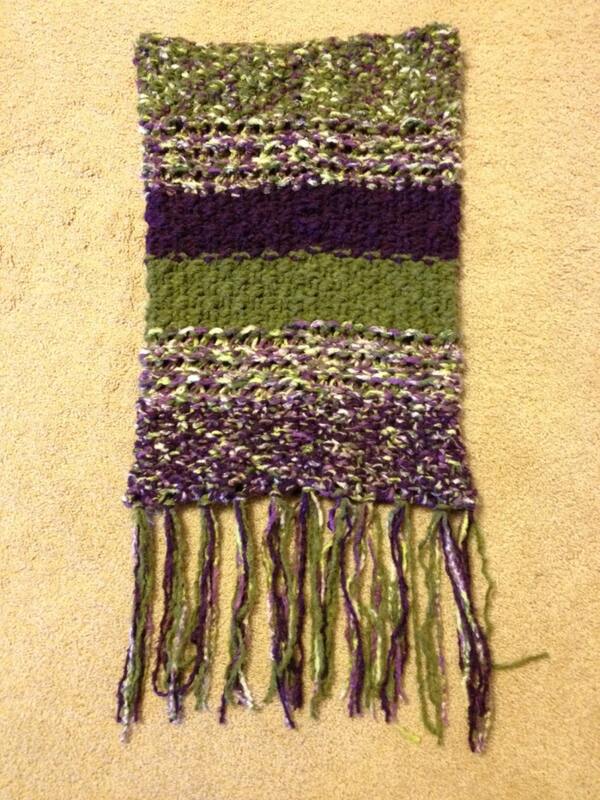 Though not difficult just detailed, this pattern would be suitable for an intermediate loom knitter. 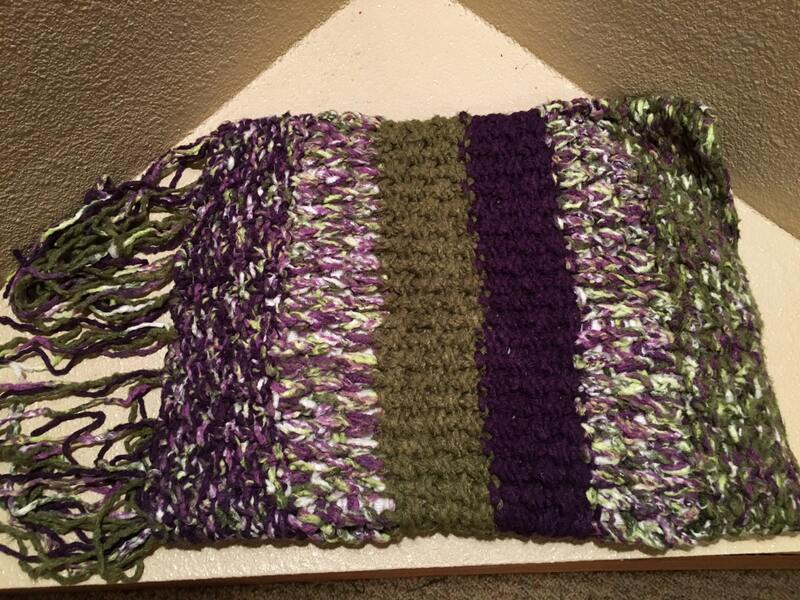 This cowl uses 1 skein each of two different solid colors (in this case, olive and purple) and 1 multi-colored skein of super soft Yarn Bee Bamboospun yarn.